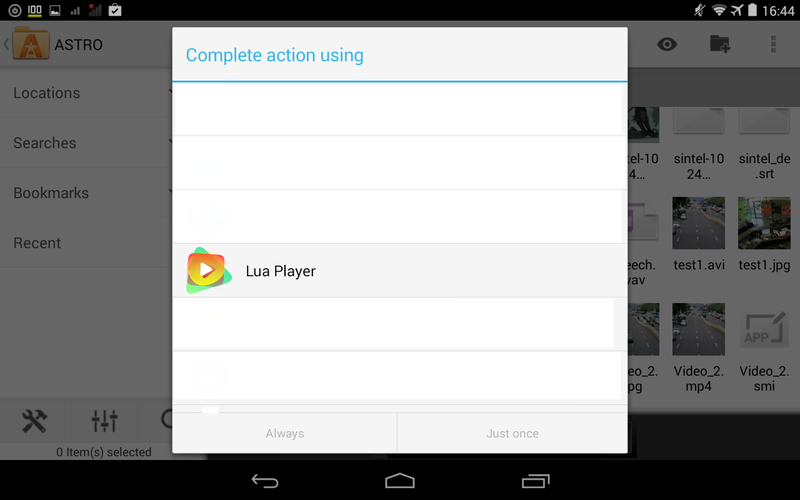 How to download free version of Lua Player? What kind of video formats does Lua Player support? What kind of audio formats does Lua Player support? 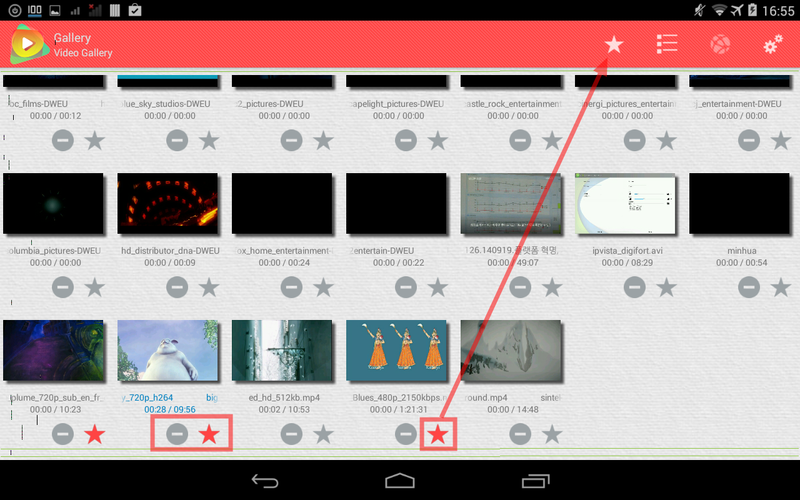 There are two ways to play video files with Lua Player. You can also play media files outside of Lua Player if you are use a file explorer application. If you want to add a network url to favorite list, just check the box below. What is "Star" and "Minus" symbols next to play list? Lua Player is supporting removing media files directly within Lua Player. If you want to delete one of your video, click the minus button. When you check "Star button" on the lists, it will register to favorite lists automatically. Video is playing from the beginning. How to play from the last point I've seen? The default resume setting is "Play from the beginning". 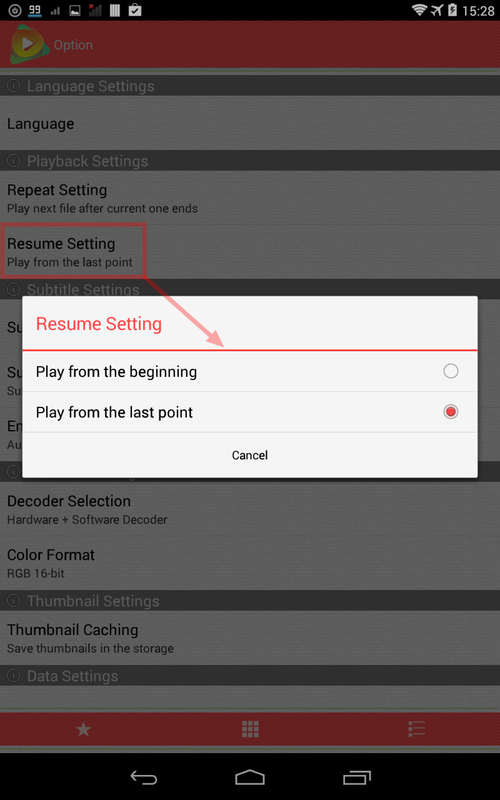 You need to goto "Option" -> "Playback Setting" and choose "Play from the last point"
How to enable Hardware Decoder? 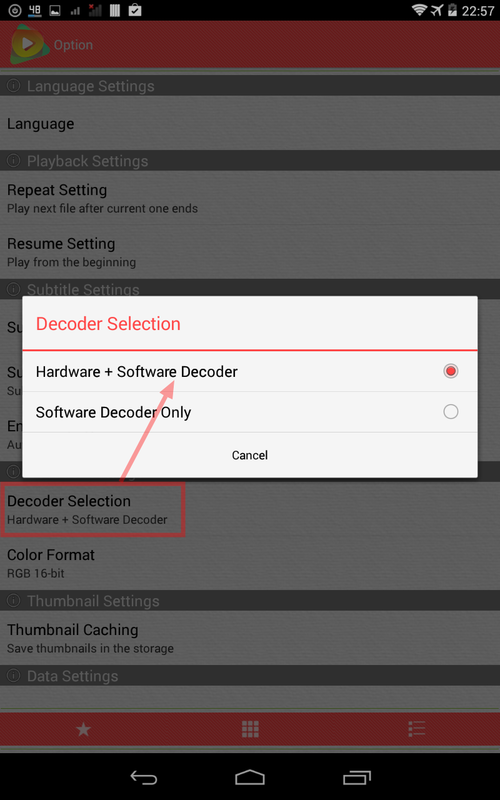 By default is "Enable Hardware Decoder" if your device supports hardware decoder for specific media. 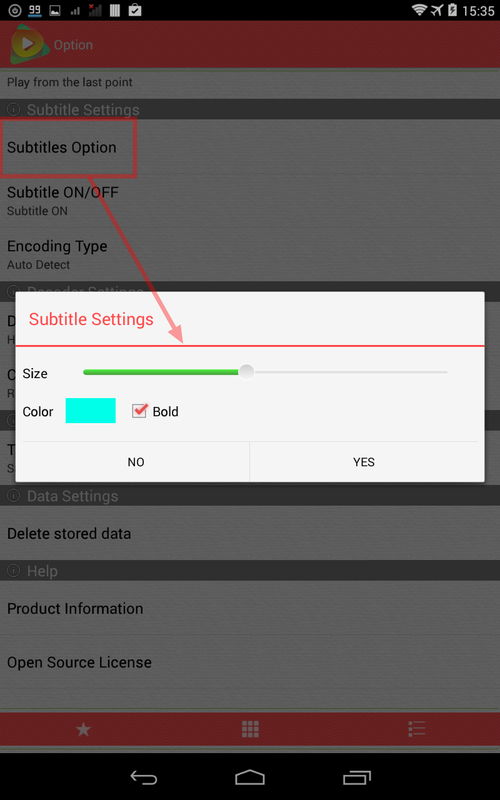 If you want to only use "Software Decoder", go to "Option" -> "Decoder Setting" and choose "Software Decoder Only"
Just goto "Option" -> "Subtitle Settings" -> "Subtitle ON/OFF"
How to change subtitle color and size? 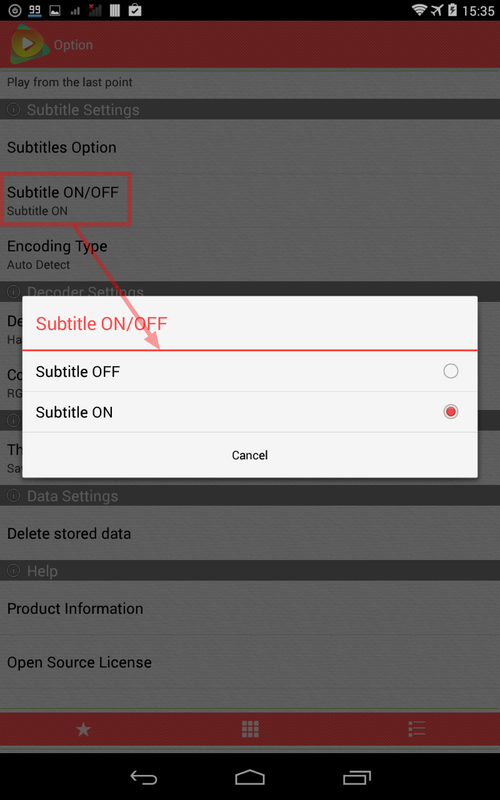 Goto "Option" -> "Subtitle Settings" -> "Subtitle Option"
If you want to change subtitle size during playback, please refer to screenshot below. 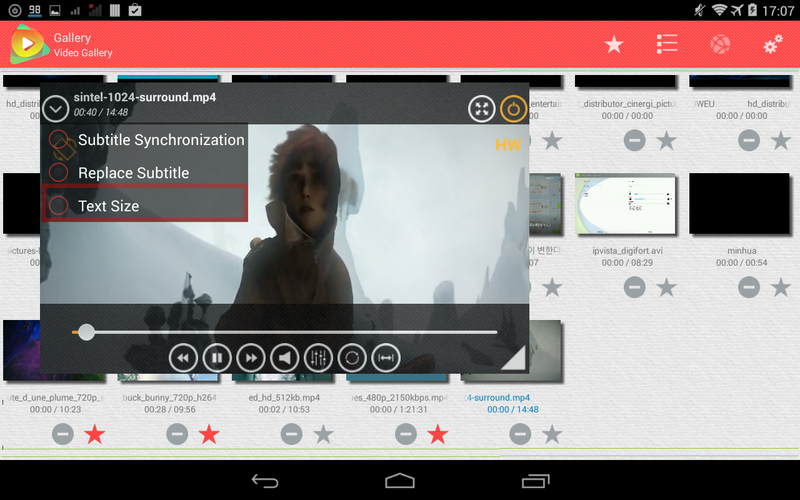 Lua Player is a free and resizable multimedia player for android that plays most multimedia files and various streaming protocols. 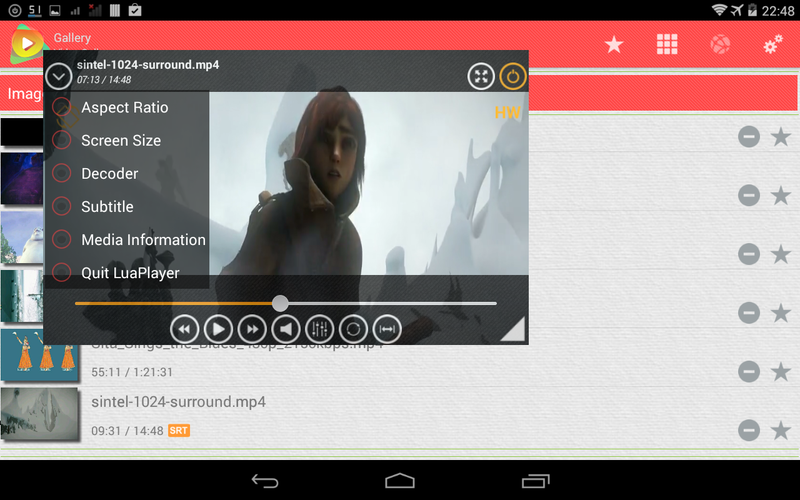 click the image to experience Lua Player on Google Play. © Copyright 2014 by Lua Interactive. All Rights Reserved.